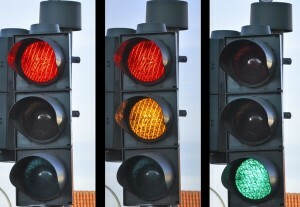 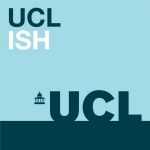 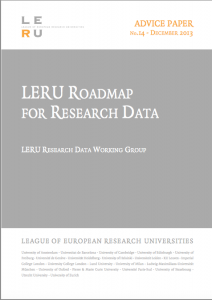 LERU Roadmap for Research Data. 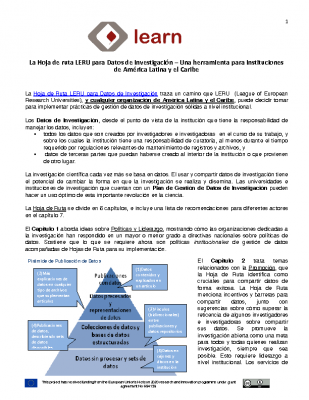 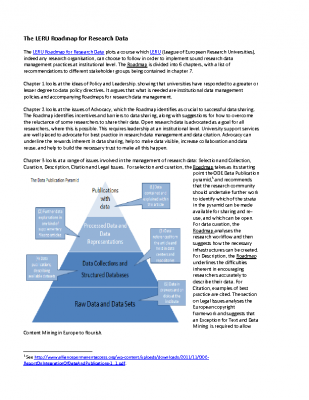 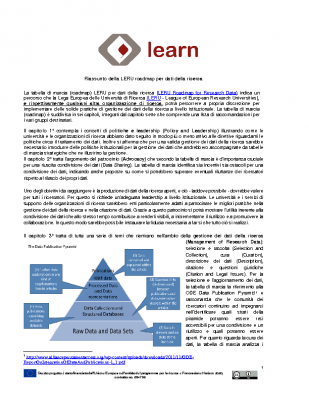 In December 2013, LERU (League of European Research Universities) produced the Roadmap for Research Data. The Roadmap provides a guide for research-intensive universities, indeed for any European university, which wants seriously to engage with the potential and challenges of data-driven research. 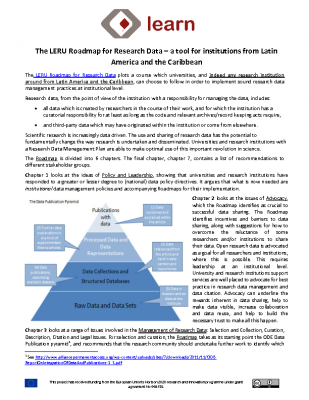 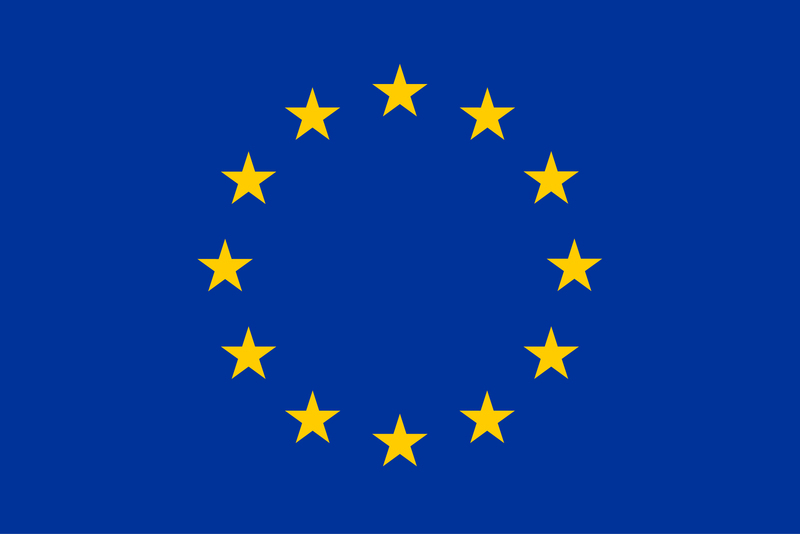 A Summary of the LERU Roadmap for Research Data has been produced by Paul Ayris with contribution from all partners, and has been translated into several languages: German, Italian, Portuguese, Spanish and French. 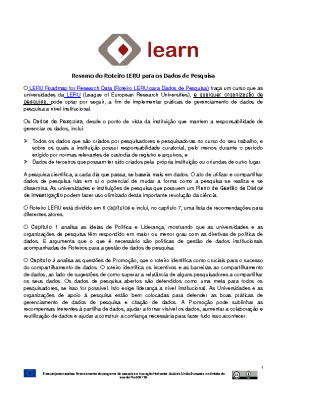 Portuguese version: Sueli Mara Soares Pinto (Universidade de São Paulo, Brasil) and Marcos Galindo (Universidade Federal de Pernambuco, Brasil). 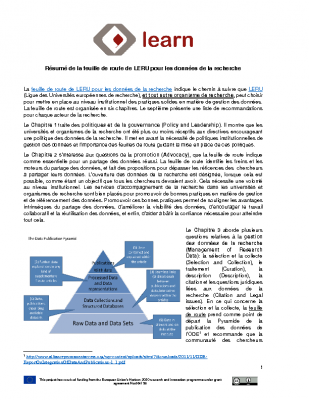 French version: Myriam Fellous-Sigrist (University College of London).